« Choked? Who? The Aussies? Enough with the sheep jokes, already! Sheepishly acknowledged? Wan't there another way to say it, Audrey? 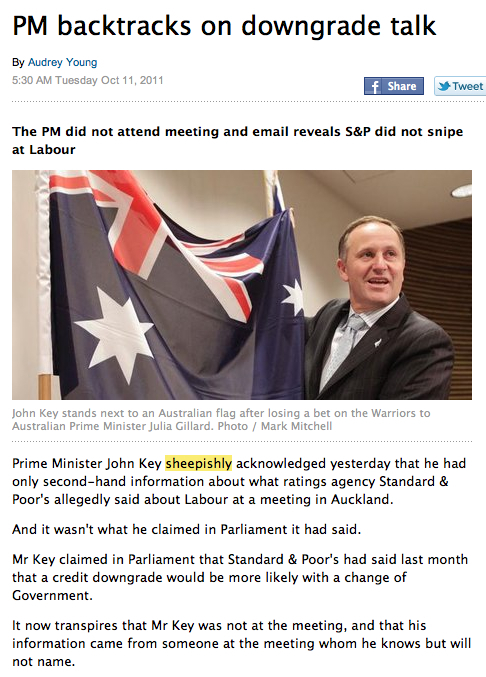 Prime Minister John Key sheepishly acknowledged yesterday that he had only second-hand information about what ratings agency Standard & Poor’s allegedly said about Labour at a meeting in Auckland. ‘Sheepishly’? Oh, please, Audrey. We don’t to give the Aussies any more ammo. Why do NZ men marry women. Because Sheep cant cook. 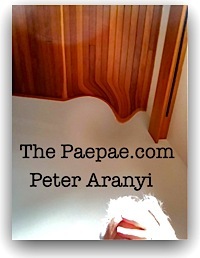 How can you identify a levelheaded Aussie – he dribbles out both sides of his mouth.